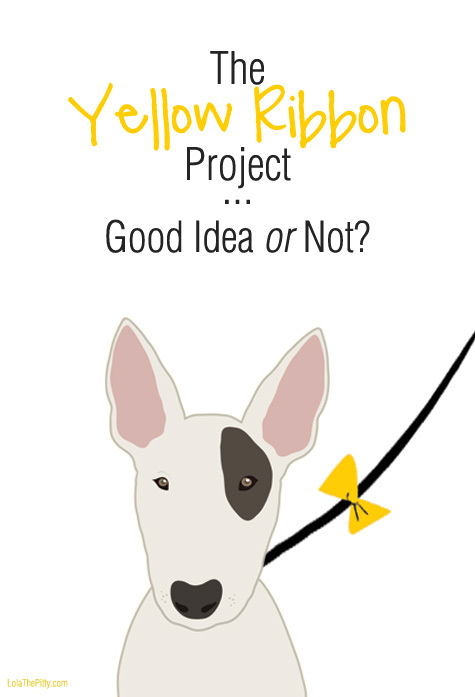 Home >> Positively Contributors >> The Yellow Ribbon – Good Idea or Not?! 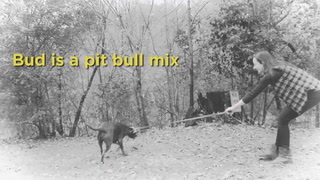 The Yellow Dog Project is a movement created for dogs that need space. By tying a yellow ribbon or something similar to the dog's leash you are indicating that this dog needs space, for whatever reason (or perhaps the human walking the dog... either way). However, there has been much debate with this whole 'yellow ribbon please ignore us' movement. What do you think? Can you see the downsides? Are people taking it too far? 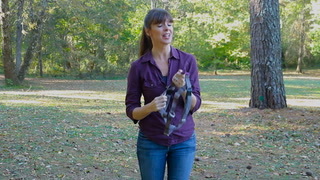 Are we assuming the worst if a dog is wearing this ribbon on their leash? Shortly after I became aware of the Yellow Dog Project, I read many blog posts and articles touching base on the potential downsides to this movement. After swaying back and forth and weighing in the good and possible negative sides to the yellow ribbon, I have formed my opinion. 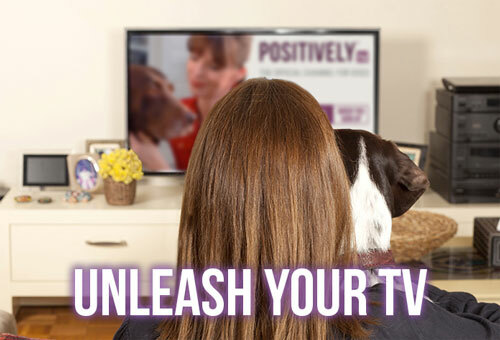 The movement was intended to create awareness and provide a clear indicator that your dog needs a little more space. I think this is a great idea and positive way to make this statement. I've seen alternatives to the yellow ribbon, such as harnesses and leashes that have text printed on them saying things such as, "do not pet". I think the yellow ribbon leaves it wide open to the reason the dog may need space. My only hope would be that people would not jump to conclusions assuming that the dog wearing the ribbon must be aggressive. 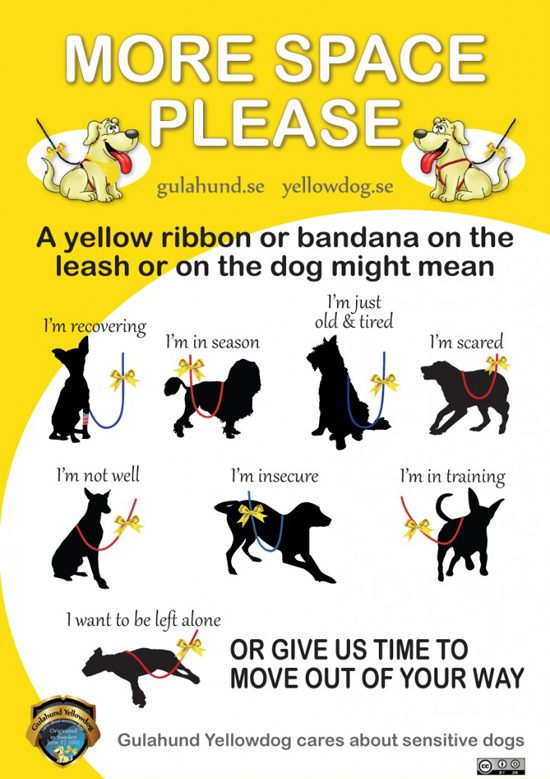 Articles have also stated that juries could be urged to treat the yellow ribbon as they have in the past with “Beware of Dog” signs - as an admission that the dog owner knows they have a dangerous dog. Luckily I have never heard of or been in a situation involving a case like this but I would not doubt it. But as the owner, I think you have to be the judge of the situation and your dog. Let's also remember that the ribbon is intended to represent dogs that are scared or skittish, may be in heat, recovering from an injury, etc. There is also the argument, 'if your dog needs space, why should they be around others?’ I believe this is a very naïve statement and one cannot be certain that you will not run into another human or dog unless you live in the middle of nowhereville. 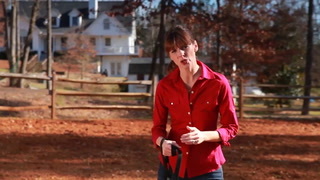 We all need to take our dog for a walk and have to assume the chance of running into another dog, person, or child. 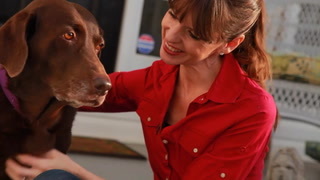 Now bringing a dog that 'needs space' to a pet expo or dog park is another story. After attending a public event with one of our dogs recently, it was brought to my attention that while some adults and children are very aware of proper ways to approach a dog, many are not. Luckily Rio who was with me at the time, is very good with people and wants to be 'ooed and awed' over just as badly as many of the people wanted to reach their hands in his face. It was a bit of an awakening but it proved to me that it is not always common sense to keep your own dogs (and hands) out of another's face. So I don’t think it’s safe to assume that the public will automatically respect your space; and while it shouldn’t have to take a ribbon to communicate this, it could help in the most-needed cases. So while I do agree that there may be certain situations that pose unintended consequences, as sad as it is, I think with responsibility and researching the setting that you will be using the yellow ribbon in, could be a great benefit and help educate others. And keeping with the original intended use, this is a positive way to communicate that a dog needs space. What do you think? Can you see the downsides? Are people taking it too far? Are we assuming the worst if a dog is wearing this ribbon on their leash? You can print posters here & here and visit my blog at LolaThePitty.com.